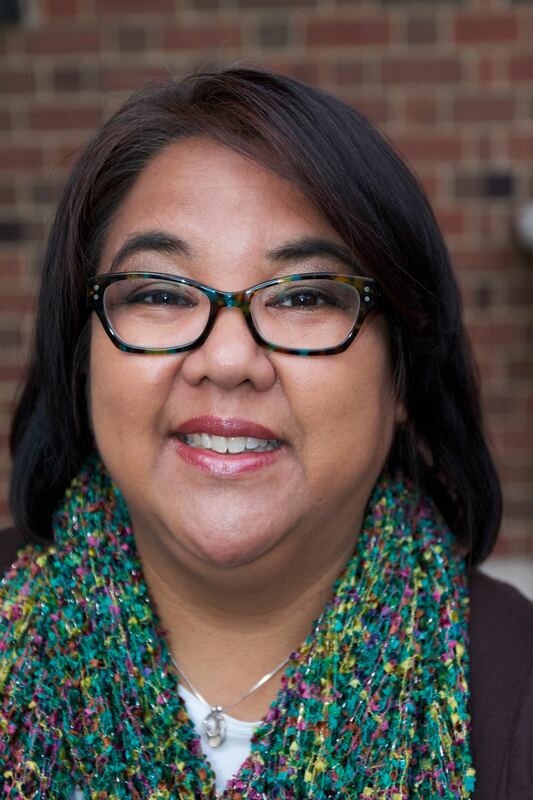 Recent advances in cochlear implants have enabled some of us to go swimming with our ears on. Advanced Bionics’ Neptune is the only waterproof processor. But not everybody has one, or is in a position to get one. The Aqua Accessory’s position on the ear makes sense for a BTE processor, but may not be the best location for water activities. Because it is a big flap extending behind your ear, it can come off when you jump in the water. It’s certainly a good idea to use a tether at a minimum, and a swim cap and goggles are even better. The aLOKSAK bag from LOKSAK is hermetic and certified waterproof up to 200 feet (60 meters) depth. You can put your processor in a reusable aLOKSAK bag, and tuck the bag under a Nammu swim hat. Dive, jump, surf, and splash all day long! Because this solution doesn’t come from the cochlear implant manufacturers, use it at your own risk. 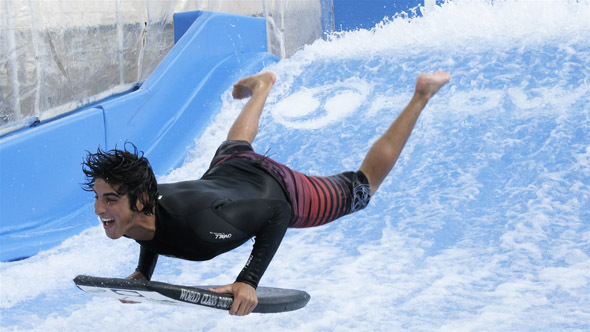 However, we have tested this in lots of situations, including on the incredible FlowRider. Surf until you wipe out, then 35,000 gallons of water per minute carries you to the top of the ramp and over the lip, where you hit the padded wall. And the Nammu swim hat never comes off! The aLOKSAK/Nammu combination works with any BTE processor, and also MED-EL’s one-piece RONDO. The smallest bag, aLOK3-3X6, is large enough to hold any recent BTE processor and headpiece. In the latest move in the cochlear implant industry, William Demant Holding Group has acquired French cochlear implant manufacturer Neurelec. 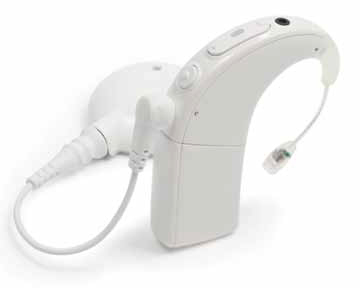 William Demant is the parent company of Oticon, known for hearing aids, and more recently, bone-anchored hearing aids. With Advanced Bionics, Cochlear, and MED-EL all preparing to announce new processors, a room full of professionals is always a good place to watch. There aren’t many cochlear implant conferences coming up, so the British Cochlear Implant Group conference on March 21st and 22nd bears close scrutiny. The programme includes time for AB, Cochlear, MED-EL and Neurelec to provide manufacturer’s updates. 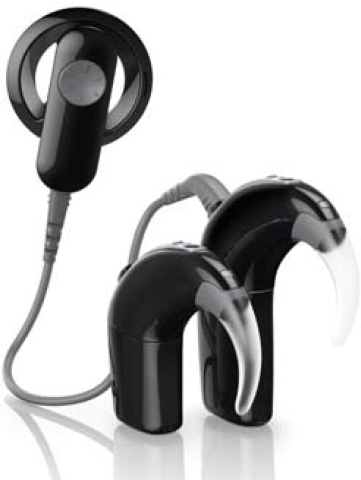 While CochlearimplantHELP.com has no specific product introduction information, we have been reporting on the upcoming devices. 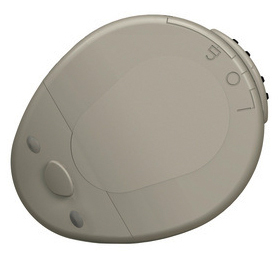 AB is readying a new processor with wireless capabilities and features from Phonak. You can stream the phone audio from one ear to the other (another AB implant or a Phonak hearing aid). Connect to phones, music players, etc. via BlueTooth through the ComPilot. More information is available in this brochure. The Nucleus 6 processor will be available in two sizes – with or without an accessory port. The processor may offer wireless capabilities using the remote as a gateway device. And it may be possible to program the processor remotely! 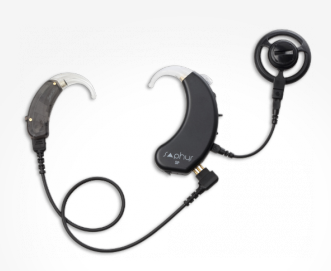 The Nucleus 6 will also be able to act as a hybrid hearing aid / cochlear implant, using the Acoustic Component. MED-EL has been busy as well, preparing the RONDO one-piece processor. This is the world’s first processor to be completely self-contained. The batteries, processor, and headpiece are all one unit. Nothing sits on the ear at all! This French cochlear implant manufacturer has a time slot to provide an update at the conference as well. 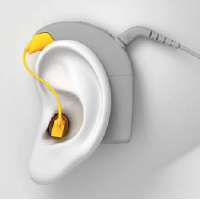 The current system from Neurelec is very creative – one implant has two arrays, one for each cochlea! Externally, the Saphyr processor sits on one ear, and a wired microphone is on the other ear. This system provides true stereo sound. Rehabilitation Game by Neurelec is a great FREE app and was developed to work on auditory skills in either French or English, in either Adult mode or Child mode (they use the same stimuli but the interface is a little different) and at different levels that get progressively more difficult. 2. Discrimination – tap on the screen when you hear the stimulus that is different…this one was HARD and towards the end, even if you are in English mode, I noticed some stimuli with funny looking accents. 🙂 Methinks there is a bug. One feature that I always appreciate is that it will keep track of your progress over time.